Blackmores Omega Cardiwell is formulated with concentrated omega-3s containing EPA + DHA. Blackmores Omega Cardiwell contains fats for the maintenance of general health. 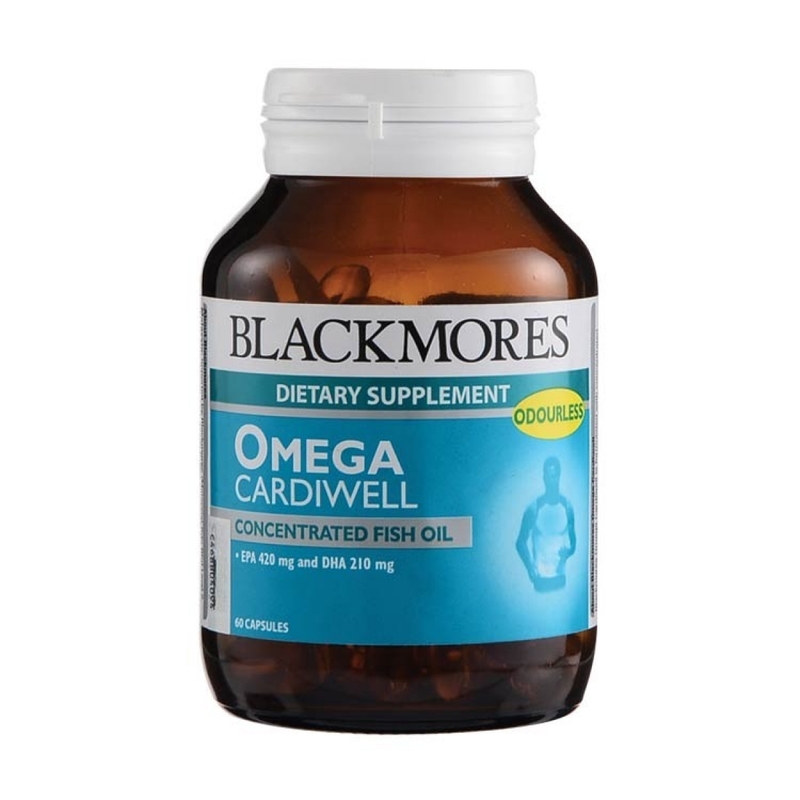 Blackmores Omega Cardiwell contains concentrated odourless fish oil. Fish oil is a source of the omega-3 fatty acids. Fatty acids are incorporated into every cell membrane in the body, in the form of compounds called phospholipids. Cell membranes made up mainly of phospholipids derived from polyunsaturated fatty acids are more fluid and function better than cell membranes made up of saturated fat or trans-fatty acids. Omega-3 fatty acids found in deep sea oily fish are generally regarded as having a positive effect in the human body. They are important components of substances known as prostaglandins and leukotrienes. Prostaglandins and leukotrienes are important in immune function, smooth muscle function, platelet aggregation and inflammation. Fish oils have a positive action because prostaglandins and leukotrienes from omega-3 fatty acids have less negative activity than prostaglandins and leukotrienes derived from other types of fatty acids.